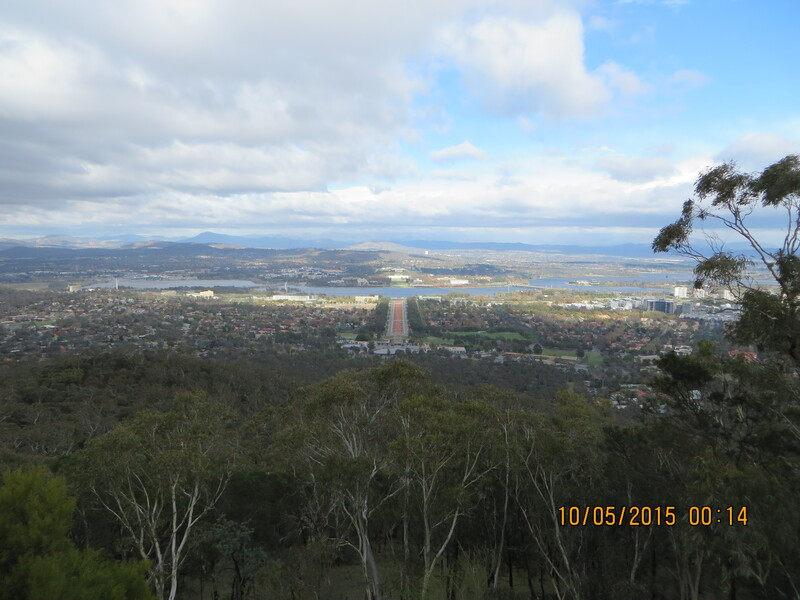 I had been in contact with Andrew, VK1AD, about activating Mount Ainslie, VK1/AC-040, while in Canberra on our way to Sydney. This discussion followed an earlier one based on his blog and description of Digital Mobile Radio (DMR) and the new 70cm repeater for that mode commissioned in Canberra. I noted from Andrew’s blog that he had used DMR on UHF for SOTA activations. But the story begins earlier than that. In October I chaired a general meeting of the Adelaide Hills Amateur Radio Society, where two Adelaide amateurs presented an introduction to and demonstration of DMR. The Club President, Barry Williams, VK5BW, was ill with a late winter bug that had been doing the rounds in Adelaide. Barry asked me to step up as Chair which I gladly did. Later I decided to purchase a radio for DMR: a Tytera MD-380 which I imported from China. I spent a week or more reading the reviews of non Motorola radios designed for DMR (which Motorola developed) but which is open to any manufacturer to use. One of the Adelaide presenters sent me a Code Plug (DMR language for configuration file) for the new Adelaide repeater. I loaded this into my radio and travelled up to Mount Lofty and enjoyed my first contact with another Barry, in Sydney, via talk group 505. I was impressed with the received audio from the repeater, although there was some R2D2 on Barry’s signal into the Sydney repeater he was using. (R2D2 is the name of a droid from the original Star Wars film dating from 1977 and he/she/it had a very mechanical/machine sounding voice). Programming the radio requires a computer. I duly programmed in 439.200 Mhz which is the suggested simplex frequency for DMR. However, I found out that in Canberra 439.0125 is the simplex frequency. The Tytera is sold as capable of operation on 400 Mhz to 580 Mhz as a commercial radio. To be legal for amateur use it must only be programmed with amateur frequencies and mine contains Adelaide, Canberra and two Sydney repeaters only. It is not easily capable of being programmed from the key pad. If you would like to learn more about DMR here is a link to the Australian information page: http://www.vkdmr.info In simple terms DMR, standing for Digital Mobile Radio, is an increasingly common commercial digital mode for use on VHF and UHF. Amateurs began acquiring used Motorola radios and using them on the VHF and UHF amateur bands. There are many commercial digital systems and another of interest to amateurs is P25. These systems compete with Dstar from Icom and Kenwood and other makers and C4FM from Yaesu. There are plenty of comparisons between the systems on the web and I have found these of interest, especially where the authors declare their biases. What makes DMR so interesting to the amateur experimenter is that is a TDMA system: Time Division Multiple Access, and thus supports two contacts simultaneously on the one repeater. I have been impressed with the recovered audio from Tytera MD-380 but the same applies to my Dstar radios. What you hear depends on the quality of the in-going signal and the distance from the repeaters at each end. I had from home arranged to meet Andrew on the summit of Mount Ainslie with the aim of securing four contacts using DMR to successfully activate the summit for SOTA. Andrew had emailed the club members in advance that the activation was going ahead and could they kindly listen out for me. Well the week before Christmas is always busy and no doubt that was the case in Canberra. I was delighted to gain one DMR contact with Jim, VK2MK/1. Many further calls were made on on 439.0125 by both Andrew and I without success. A change of plan was called for. Andrew once again alerted the locals via the Mount Ginini two metre FM repeater and I was able to well and truly qualify the Peak on two metres FM. The highlight contact was with another on the Canberra amateurs called Andrew, VK1DA/p (also VK2UH) portable on Mount Taylor, VK1/AC-037. My log is reproduced below with ten contacts achieved. In addition to Andrew’s TYT DMR radio we used my ICOM IC 80AD hand held ( DStar and FM) and Andrew’s dual band FM Yaesu handheld. 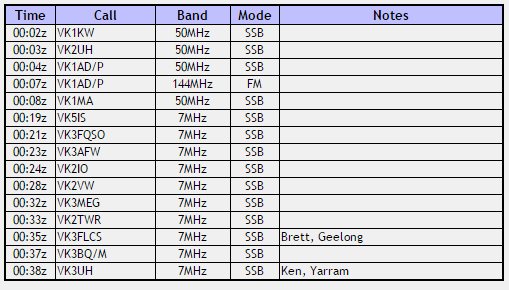 I think it is so good to use frequency bands other than 40 metres for SOTA and Parks activations. The late afternoon was splendid, warm and with a breeze that dropped as the time progressed into early evening. 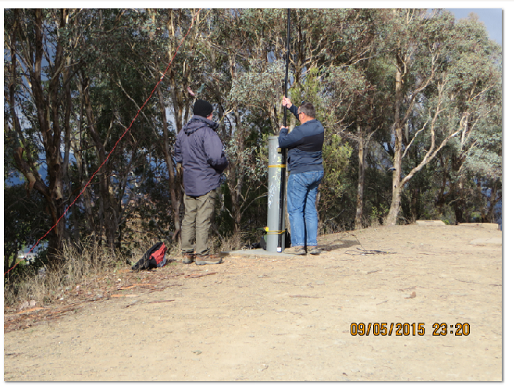 This was my third activation on Mount Ainslie and I have activated it for SOTA and WWFF. 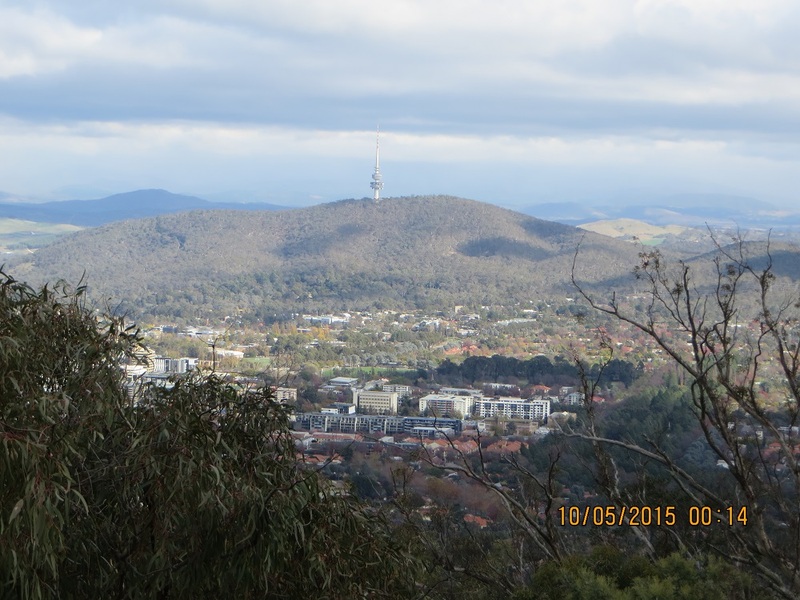 I have previously qualified the park, Mount Ainslie Nature Reserve, for VKFF. I had a most enjoyable time and wish to thank Andrew, VK1AD, for his generosity in being part of the activation , together with the use of his DMR radio and the local amateurs who gave me a call. I am returning to Canberra on our return trip to Adelaide to meet up with Andrew again for further activations on HF.